PURCELL, Tortola, VI – As family and close loved ones of Mr Randolph Heskey known as ‘Jawa’ struggle to come to grips with his sudden and tragic death they could not shy away from remembering his commitment and love for his family and relatives. Ms Terecia C. Hodge is a niece of the late Randolph Heskey who said that if nothing else persons need to know that he loved his family very dearly. “He really loved family. He would do anything for a family. He was the type that would go seeking out anyone that is said to be related to him,” she told Virgin Islands News Online. Jawa as he was commonly called was fished out of the sea at the CSY Dock at Baugher’s Bay early this morning where he was believed to have been exercising and bathing a horse when he drowned. “That was something thing he has been doing for almost all his life. Since I was a little girl I remember my uncle with horses,” related Ms Hodge. She said that he used to exercise the horses in the sea almost every morning between the hours of 3:00am – 5:00am but couldn’t figure out what might have gone wrong this morning. “I really don’t know much but I am already missing my uncle,” said the woman as she struggled to contain herself from bursting into tears. She said that Heskey was a very close friend of the owner of Star Shipping where he would periodically do small jobs there. “He used to do little jobs here and there,” she said. Randolph has left to mourn in addition to many loved ones and friends, his two children and one grandchild. He lost his Nineteen year-old son Javeron Heskey, who was killed on January 18, 2012 outside Crystal Night Club. 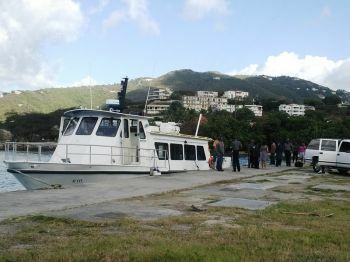 In a press release earlier today the Royal Virgin Islands Police Force Public Relations unit said that Officers were called to the scene early this morning, March 21, 2014, where the body of a male was being recovered from the waters near CSY dock. “Cause of death is still to be determined. Investigations are ongoing,” it said. BAUGHER'S BAY, Tortola, VI - Word reaching our newsroom is that a man has drowned this morning, March 21, 2014, in the vicinity of the CSY dock at Baugher's Bay beach. 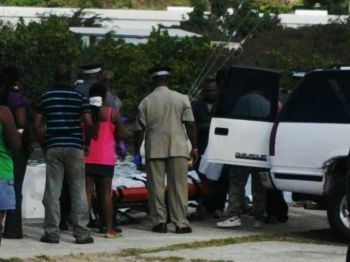 Virgin Islands News Online understands that the victim has been identified as Randolph Heskey known as ‘Jawa’ of Purcell, who perished while swimming a champion horse at the Baugher’s Bay Beach. According to VISAR's Phil Aspinal they did receive a call from the Royal Virgin Islands Police Force alluding to a man being missing. He said that they subsequently returned a call shortly after indicating that one Bobby Hodge got the man out. "They didn’t say dead or alive." Aspinal said that it was his understanding that the man was out with his horse, the horse returned without the owner and an alarm was raised. Mr Hodge who reportedly was taking his usual morning walk responded and went out at sea and retrieved the man. all i could say..IF it wasnt a heart attack or stroke..TREAT IT very suspicious!!!!! OMG this is another sad day...NDP bad Oman still over the country!!! . People like you should not be allowed access to the internet, show some respect to the man family instead of posting your nonsense. And the word is O M E N! I was actually scrolling down just to see if someone really had the audacity to bring politics in this. Ole senseless, inconsiderate JA!!! My sympathy to this gentleman's family. He was doing what he loved, such a tragedy. On another note, why are we afraid to call the horse name or the farm name? It doesn't matter what horse he was a universal horse trainer, RIP Partner and may the peace of God rest with the girls. why did u not call it u punk! I knew him only by seeing him but my condolences to his family and close friends. What a sad day for a good friend. When you talked about going to swim your horse only one name came to your head, Jawa! He will be missed greatly. Our condolences goes out to his family. He never passed me without embracing me or saying give me something...may his soul RIP. today Is a very sad day.. we the horse racing world in the bvi lost one of the most important section of traning our horse..JAWA..rest in peace..u will never be forgotten..RIP brother! R.I.P my brother you will be missed badly! REST IN PEACE MY BROTHER! The news of the death of a childhood friend and classmate has shocked me terribly. "Jawa", also affectionately known as Billy to many of us who grew up with him, was a loving, caring individual. As I try to come to grasp with the sudden demise of my childhood friend, fond memories from childhood emerge. I recall fondly the time he played "Frosty the Snowman" in our school play. We were probably in the elementary school at the time (Class 3 or 4.) In addition to the humorous way in which he played his role as Frosty, what really propelled the audience into laughter was when the clothing that was stuffed in his costume to make his stomach appear bigger than it was, began to fall to the floor. Of course "Jawa" continued jumping around, as if nothing had happened. "Jawa" will most certainly be missed. To his mother Ms. Veronica, his sister "Pat" and his brother "Podggie", our deepest sympathy. May your fond memories of "Jawa" and the fact that many grieve his loss with you, comfort you during this very sad time.